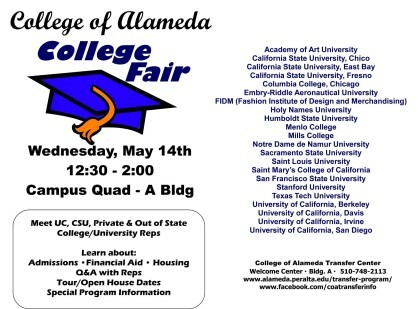 College of Alameda will host a College Fair. 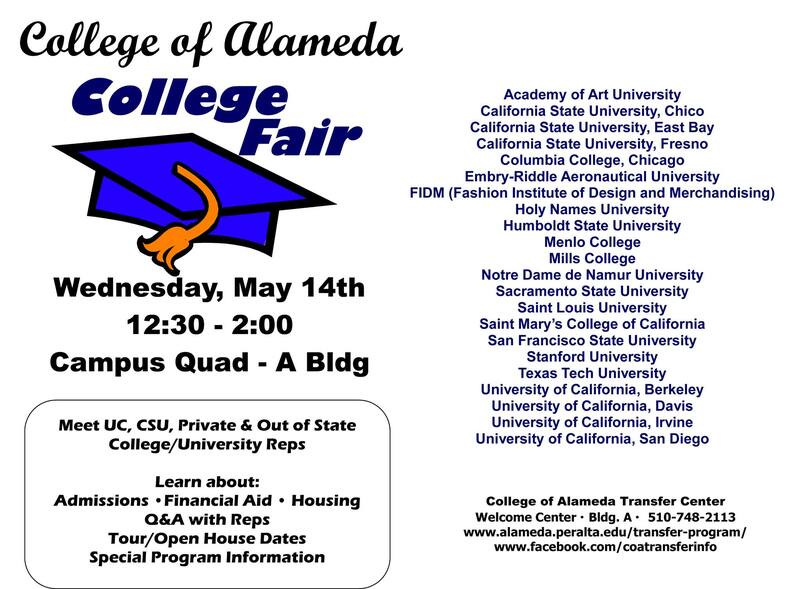 This event brings college and university representatives to our campus to provide students information about transferring to four-year institutions. This is a wonderful opportunity for students to ask questions and discover the many options available to them.